The shortlist for the English Premier League’s African Player of the Month of November has been released by organisers, New African Soccer. It has been a very difficult start to the week so far, with news of two young footballers’ deaths filtering out of Africa. Senegal posted a painful 1-0 win over Egypt to book their place in the Africa Cup of Nations finals, now to be held in Equatorial Guinea in January next year. CAF President and Hall of Fame member Issa Hayatou adamantly refused to be drawn on the suggestion that the continent’s flagship tournament, the Africa Cup of Nations be postponed due to the outbreak of Ebola in West Africa. 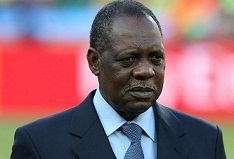 CAF President and Hall of Fame member Issa Hayatou has defended his organisation stoutly on the decision to withdraw the hosting rights to the 2015 Africa Cup of Nations from Morocco. He also explained why there was never a chance that the dates of the tournament will be shifted, as was demanded by the Moroccan government. 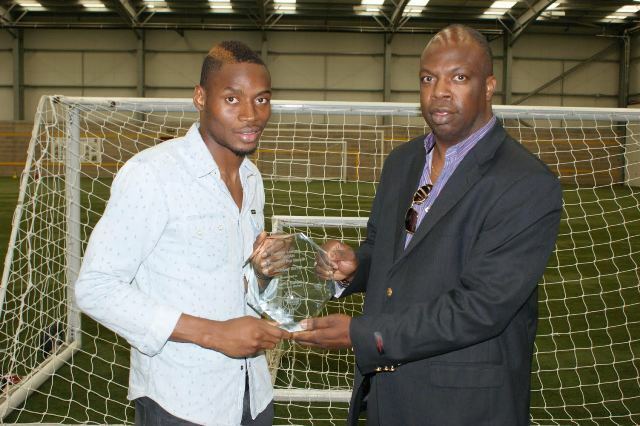 West Ham United’s Senegalese striker Diafra Sakho received his English Premier League African Player of the Month award on Thursday, full of delight. 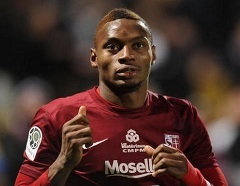 New African Soccer Awards have announced West Ham United’s Senegalese striker Diafra Sakho as the English Premier League African Player of the Month for October.